Single Focus Standard Lens Art 19mm F2.8 DN Silver. for Micro Four Thirds. Weight 160g. Number of diaphragm blades 7 (circular diaphragm). ~ total length f 60.8 mm ?. The Sigma 19mm F2.8 EX DN Lens has been designed exclusively for the mirrorless interchangeable lens cameras and has the equivalent angle of view of 38mm (35mm equivalent focal length) on the Micro Four Thirds system and 28.5mm (35mm equivalent focal length) on the E-mount system. The lens features three glass mold aspherical lenses to provide excellent correction for distortion, colour aberration and field curvature. The lens features Sigma?s super multi-layer coating which reduces flare and ghosting as well as providing sharp and high contrast images even at maximum aperture. The Sigma 30mm lens provides the out of focus areas with an attractive blur thanks to its rounded 7 blade diaphragm. This Sigma 19mm F2.8 EX DN has a minimum focusing distance of 20cm/7.9in and a maximum magnification ratio of 1:7.4. The lens ensures accurate and quiet autofocusing, making the lens suitable for video recording as well as still photos. I love the shallow depth of field. I used it on my bmpcc, and it works like a charm. I love how I can control the aperture via iris control. The size of the focus ring is idea for smooth focusing. I love it. I hope to purchase the 30mm one. Sigma is great! This Sigma 19mm is and excellent lens for sharp images. TL;DR: If you can spend more, buy the 20mm f1.7 from panny. If you own a Sony APS sensor camera, you can get this one. 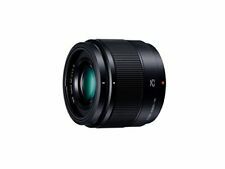 I see this lens as a cheaper alternative to the Panasonic 20mm f1.7 pancake. For MFT sensors it is like a normal lens (38 mm equivalent), so in that sense it is a good buy (I don't like 50's, I always feel that something is left outside the frame). Good sharpness even at f2.8. If your pocket holds up, go for the 20mm pancake instead of this one. If you own a Sony with APS sensor, this is a good choice (it is equivalent to 31mm), and with good sharpness, and probably will get better bokeh than in MFT. Great quality photos, a great all round prime lens. Photo quality is amazing, especially for the price. An excellent lens. Significantly smaller than the kit zoom lens supplied with my Olympus EPL1, which makes my camera more discreet and easier to carry around. Arrived earlier than expected. Product looks new.